Thanks to Peter Butler for this great picture and comprehensive description. Year unknown but appears to be late 1940s or early 1950s? 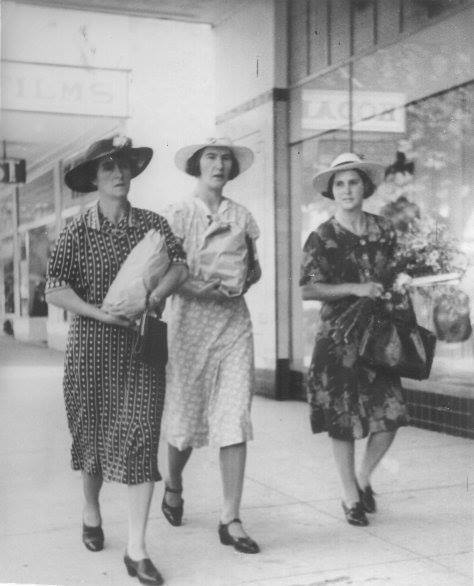 Myra Beatrice Butler, Mrs Wally Banwell (lived opposite the ‘bull paddock’ in Fitzroy Street, Tumut), Olive (Nellie) Nellie Hillier nee Alston. Photo taken on Saturday morning in Wynyard Street, Tumut. Photo from the collection of the late Margaret Mitchell. Butler Collection.